NOTE: This item takes 3 weeks to ship if not in stock. thanks! 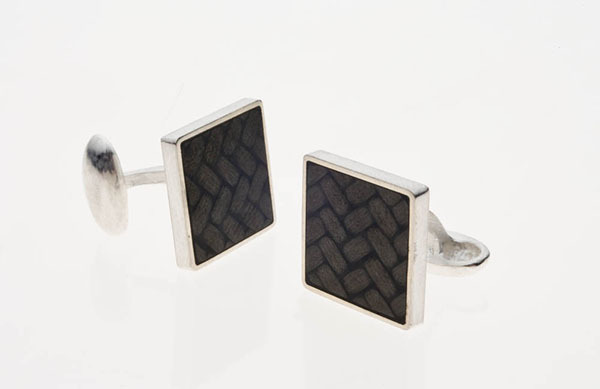 Diana’s original silver and carbon fiber cufflinks are a great addition to any man’s wardrobe. The cufflinks are made one at a time by hand, and feature a beautiful matte finish which remains consistent with wear.